Michael Griffin has been involved in music education since 1985. 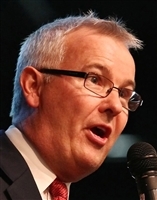 As a conductor Michael and his school ensembles achieved many awards including the Australasian Open Choral Championship in 2004, a first for an Australian secondary school. Michael was awarded the Education and Arts Ministers’ Prize in 2006, and is listed in the Who’s Who SA Edition for 2007 and 2008. He was nominated for a National Teaching Excellence award in 2005. In recent years, Michael has been based in Dubai and the UK, consulting in schools and at conferences in more than 20 countries. Michael has adjudicated eisteddfods in SA, QLD and the ACT. More recently, Michael has been consulting for Cambridge University Press redesigning music curriculum for Kazakhstan, and is currently Head of Music at CBC in Adelaide. Michael’s books include ‘Bumblebee: Rounds & Warm-Ups for Choirs’ and ‘Learning Strategies for Musical Success’. Trained as a classical pianist, performance residencies include Dubai’s Burj al Arab and Australia’s Hayman Island. Michelle Leonard is the founding Artistic Director and conductor of the Leichhardt Espresso Chorus, the Moorambilla Voices Regional Children’s Choirs and Festival Director of the Moorambilla Festival. Music in Communities Network, she is actively involved in advocating for choirs through articles, presentations and workshops. Michelle is widely sought after as a choral clinician particularly on Australian repertoire and she facilitates compositional workshops for special projects. Choir Master for the Festival of Sydney’s Lost and Found Orchestra and also for the 2010 Edinburgh Military Tattoo. 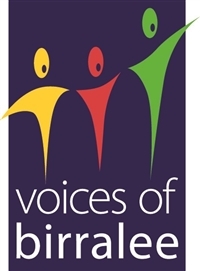 Michelle conducted the inaugural Moorambilla Voices touring choir for its 2008 Sydney Opera House performance that celebrated regional indigenous culture and reconciliation on the occasion of Patrick Dodson's Sydney Peace Prize lecture. Former Conductor and Founding Artistic Director Jakub Martinec is assistant professor of choral activities at Memorial University of Newfoundland and a doctoral candidate in music at the University of Western Ontario. His research focuses on a comparison of European and North American perspectives of choral conducting as well as investigations of early Czech choral literature, and pedagogical strategies for teaching adolescent male singers. Born in the Czech Republic, he was the founding artistic director of the renowned Czech Boys Choir. Mr Martinec has recorded for national TV and Radio in the Czech Republic; and he has directed on numerous CD´s and DVD´s, of which his recording of Britten's A Ceremony of Carols received a Recording of the Month award by the London-based Classical Music Web. Mr Martinec has performed with eminent orchestras, ensembles and musical personalities in some of the world’s most famous concert halls and cathedrals , including Meistersingerhalle, Nürnberg, Germany (2005, 2009, 2011), Grace Cathedral in San Francisco, USA (2004), Winspear Hall in Edmonton, Canada (2006), Massey Hall in Toronto, Canada (2012), the Pantheon and the Basilica Santa Maria Maggiore in Rome for the leaders of the Vatican (2009, 2010), Truro Cathedral, UK (2013) and regularly at the Rudolfinum Dvorak Hall and Smetana Hall in Prague. With his choirs, he performed the opening concert of choral cycle of the Czech Philharmonic Orchestra (2006), and has appeared at numerous international music festivals including The Prague Spring Festival (2004, 2005), AmericaFest International Festival for Boys’ & Men’ Choirs including the VIth World Choral Symposium in Minneapolis (2002), Festival d'Ambronay (2006), Mitte Europa (2008, 2009, 2013), and the highly acclaimed World Festival of Singing for Men and Boys (Prague, Hradec Kralove, 2004, 2008). Paul Jarman, (born 1971) Paul Jarman is a widely acclaimed Australian composer, performer, musical director and educator. Paul is most well known as a lyricist and composer of choral music, a world music multi instrumentalist, and a facilitator of community inspired collaborations. As a cultural ambassador he has performed extensively throughout Australia, Europe, Asia, North America, the Middle East and the Pacific with theatre productions, dance ensembles, Aboriginal-Anglo Celtic performance groups, choirs and orchestras; in festivals, special events, schools and towns as a conductor and musical director, and a member of Australia’s iconic first ‘world music’ ensemble Sirocco since 1996 representing Australia in Pakistan, India, Taiwan, Nepal, Sri Lanka, Malaysia, Laos, Vietnam, Singapore and the Philippines for the Department of Foreign Affairs and Musica Viva. Paul plays piano, clarinet, harmonica and saxophone but specialises in ethnic wind instruments including Irish whistle, bagpipes, zurna, Chinese flutes, jaws harps and harmonic singing. He has performed on a variety of Australian feature films, documentaries, commercials and IMAX productions and composed the music for several award winning adventure films with the renowned filmmaker Mike Dillon. Paul’s music is popular all over the world as he continues to write about some of the most inspiring people of our time including Jessica Watson, Terry Fox, Helen Keller, Ernest Shackleton, Aung San Suu Kyi, Pemulwuy and Mary MacKillop. In 2010 his piece for the 40th Anniversary of the death of Martin Luther King Jnr was performed for President Barack Obama in the White House. Paul has also written and performed music for events in the Western Front, including a premier under the Menin Gate in Ypres and the D-Day 60th Anniversary in Normandy. He has toured as a resident conductor/performer with a variety of choirs to France, England, Germany, Austria, Italy, China, Belgium, Czech Republic, Canada, New Zealand, USA and Switzerland and he conducts choral events all over Australia. He has composed music for some of Australia’s large special events including the Centenary of Federations, the Bicentenary of the Battle of Vinegar Hill, Year of the Outback, The Olympic Arts Festival, The Rugby World Cup, The Works Festival, The Australian Rivers Forum, United Nations Year of the Mountain, ANCA, The Queensland 150th and the Australia Day Spectacular Darling Harbour and Canberra.